Video: Hopkinton Hillers Girls Tennis Improves to 16 and 0! 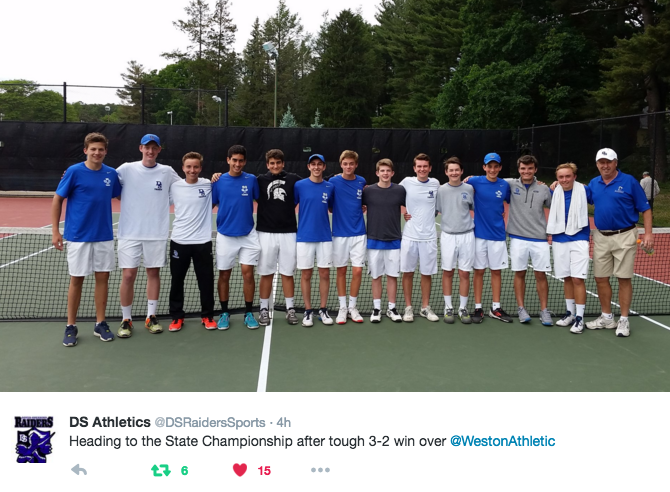 Dover-Sherborn Boys Tennis Heading to D3 State Championship! Tuesday 5/24/16 Girls Tennis Westwood – 2 @ Hopkinton – 3 (Hopkinton Wins TVL title and finished undefeated in TVL!) Ashland – 5 @ Whitinsville Christian – 0 Recommend this!